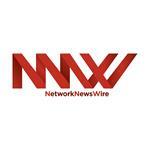 NEW YORK, Jan. 11, 2019 (GLOBE NEWSWIRE) -- via NetworkWire – NetworkNewsAudio announces the Audio Press Release (APR) titled “Global EV Demand Drives Scramble for Fresh Supplies of Vital Metals,” featuring Pacific Rim Cobalt Corp. (CSE: BOLT) (OTCQB: PCRCF) (XFRA: NXFE). Pacific Rim Cobalt’s Cyclops Nickel-Cobalt Project has returned positive initial sampling results. Further exploration work may help the company delineate a resource and build its way towards a definitive resource estimate. There appears to be no shortage of demand for battery metals, and the Cyclops Project is well placed to potentially service nearby battery-producing companies. Pacific Rim Cobalt is exploring for cobalt in a jurisdiction that has produced some of the biggest mines in human history. Freeport-McMoRan Inc. developed the Grasberg mine in Indonesia. It is the world’s largest gold mine and second-largest producer of copper. The mine operates in the remote highlands of the Sudirman Mountain Range in the Papua province, located on the western half of New Guinea. Freeport-McMoRan and its predecessors have been the only operator of exploration and mining activities in the area since 1967.